Valentine’s Day is right around the corner and your mind is stuck on romance. Visions of the Eifel Tower and couples kissing on a bridge over the Seine River pop up in your mind. Whether you have been to the City of Love or not, Paris is the city that one thinks of when you imagine romance. This might be because for many years couples have been flocking to Paris for weddings, honeymoons, romantic weekends away, and more and with good reason! The city puts out a vibe that welcomes lovers, young and old, from all over the world. Strolling through the streets of Paris leads to a feeling of romance all by itself. While you are strolling, there are always possibilities of stumbling upon small museums, for example Musée de la Vie Romantique, or romantic side streets. Perfectly sculpted gardens scattered around the city add to the cities ambiance. It is romantic during the day but it is even more romantic at night! 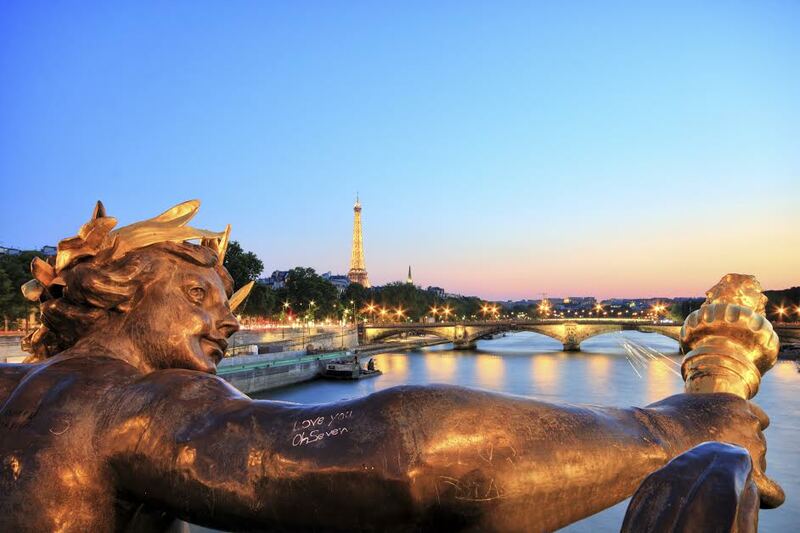 Take a night stroll along the Seine River with all the lights twinkling their reflections in the water. Have a candlelit dinner for two at an intimate French bistro, or share wine and a decadent desert at a sidewalk cafe. Don’t forget to put place a ‘love lock’ on the Pont des Arts before you throw the key into the Seine River! Everyone who visits Paris at least sees the Eifel Tower. You may not go to the top for various reasons (like the line is too long) but it is worth it. The view is incredible during the day! It is even more amazing and romantic at night with the city all lit up. 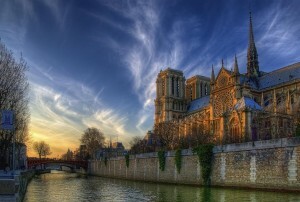 Another landmark that you will not want to miss is the Notre Dame Cathedral. While the church gets crowded, a fraction of those people realizes that you can actually climb to the top of this famous monument. The views are simply stunning. You should not miss out of the opportunity to climb the 387 stairs and get a chance to visit the famous gargoyles. You may want to see famous museums like the Louvre to see the Mona Lisa, but why kill the day standing in line when you can go at night?! The Louvre, and many other museums in Paris, often stay open late. Museums can be very busy during the day but at night, very few visitors are around. You may even end up exploring a whole section of the museum and never see another tourist! You can study famous paintings and attempt to delve into the artists mind without hundreds of people walking in front of you or speaking around you. There are little towns all around France that also exude romance that you should visit but you can never go wrong with Paris! Be sure to check out all of our great Travel Tips for France before you head overseas. This entry was posted on Wednesday, February 12th, 2014	at 10:46 pm	. You can follow any responses to this entry through the RSS 2.0	feed. Both comments and pings are currently closed.